Releasing some of the equity in your home is an option becoming increasingly popular with homeowners aged over 55. The schemes enable them to borrow an amount set against the value of their home. Interest payments are usually deferred until the selling of the property, death of the owner or if the owner enters long term care. Equity release is an attractive option for a range of reasons. Homeowners might want to carry out improvements to their property, they may wish to help children purchase their own home or use the scheme to top up their pensions with an equity release plan that makes regular smaller payments as and when they are needed. 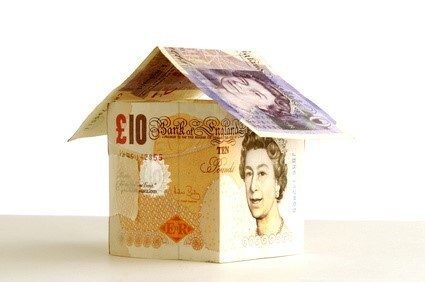 Equity release can also be called a lifetime mortgage as there is no term set by the lender. Borrowers are able to take out a one-time lump sum or several smaller payments over a fixed period. No monthly repayments are expected, unlike a traditional mortgage, as payment is made upon the property’s sale. If you are considering equity release, it’s important to seek the advice of a financial advisor who specialises in these schemes and who belongs to the Equity Release Council. This ensures you receive tailored advice that suits your needs. For Equity Release Marlborough, visit Chilvester who can assist with all Equity Release Marlborough queries. Do your homework. You can receive unbiased details on the Money Advice Service Guide to Retirement and also on the Equity Release Council’s website. Really do consider all of your options. Think about the impact on any state benefits you receive and consider if downsizing might be a viable option instead. Remember to discuss options with family, as they might be able to support you or help with your decision-making about whether equity release is right for you. Spend some time working out a budget planner, to plan your income needs and how you forecast that to change over the coming years. If you’re considering equity release for home improvements, check first to see if there are any local authority grants available for the work you need. You could be entitled to something you don’t realise. Always be sure to seek independent legal advice and speak to a financial advisor who is a member of the Equity Release Council. Think about what kind of equity release scheme suits you best. An advisor can help you to determine which scheme will work best depending on your personal circumstances. Make sure you understand the differences between lifetime mortgages, drawdowns and home reversion plans. The lowest interest rate is not always the best deal. Different plans have different features, so it’s important to find a plan with features that work best for you, not necessarily the rate of interest.